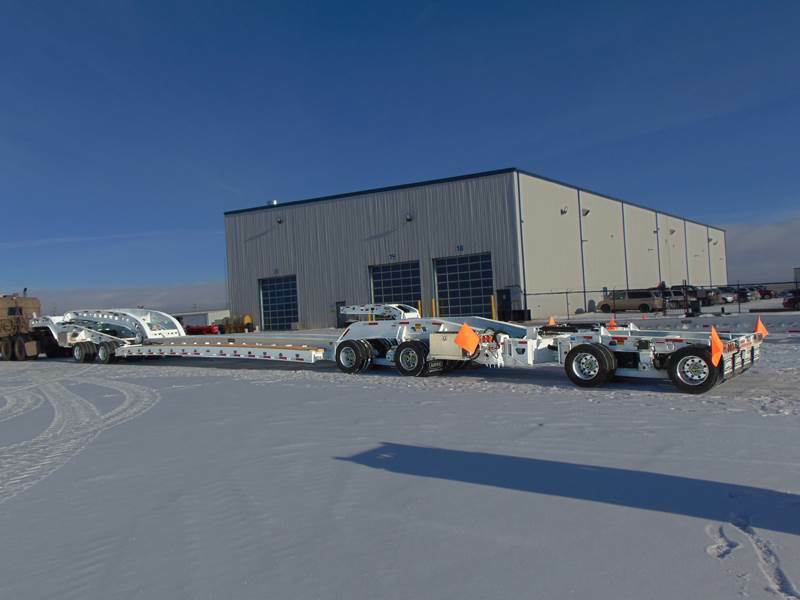 Aspen 85 ton lowboy trailer – 16 tire lowboy with jeep and booster AVAILABLE NOW. This 16 wheel jeep has been design to operate with California style tandem drive tractor with a 22,000 lbs. 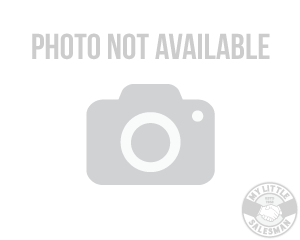 front steer axle. The jeep dolly includes a removable gooseneck that can attach to the trailer. The jeep deck will also include a hydraulic lift tower operated by a tractor wet kit or an optional power pack. 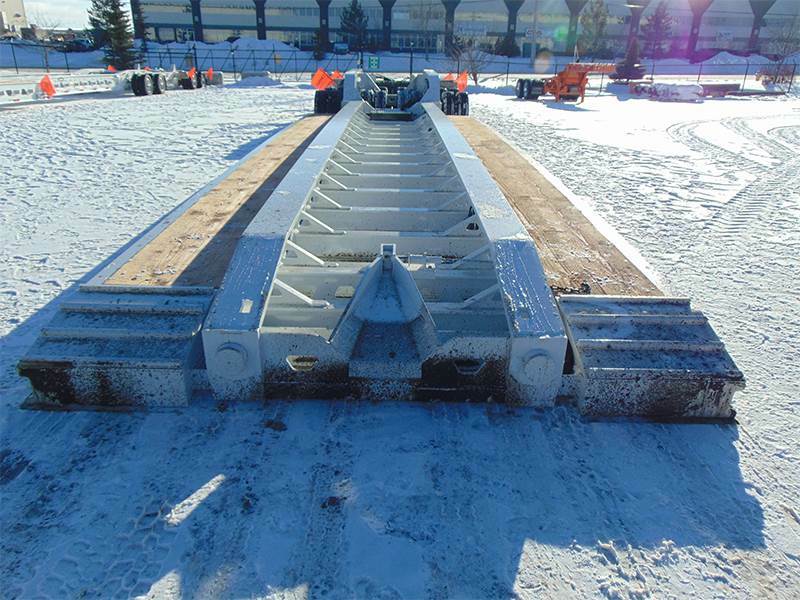 The loading ramps are integrated into the main beams to allow the mechanical gooseneck to ride up to the tower fifth wheel. 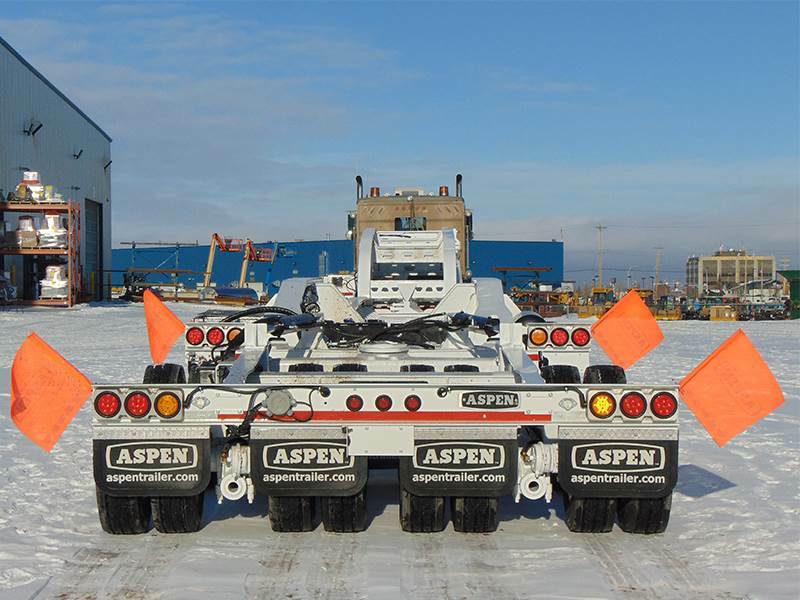 This Aspen Trailer has been design to operate as a 85 Ton Transporter, when used with a 16 Wheel Jeep, and a 16 Wheel Mechanical style booster. 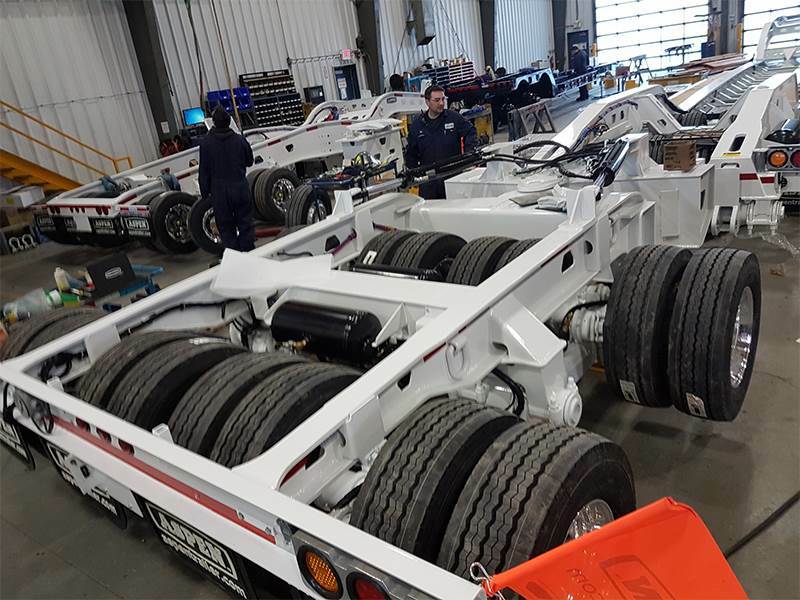 This 16 wheel jeep has been design to operate with California style tandem drive tractor with a 22,000 lbs. 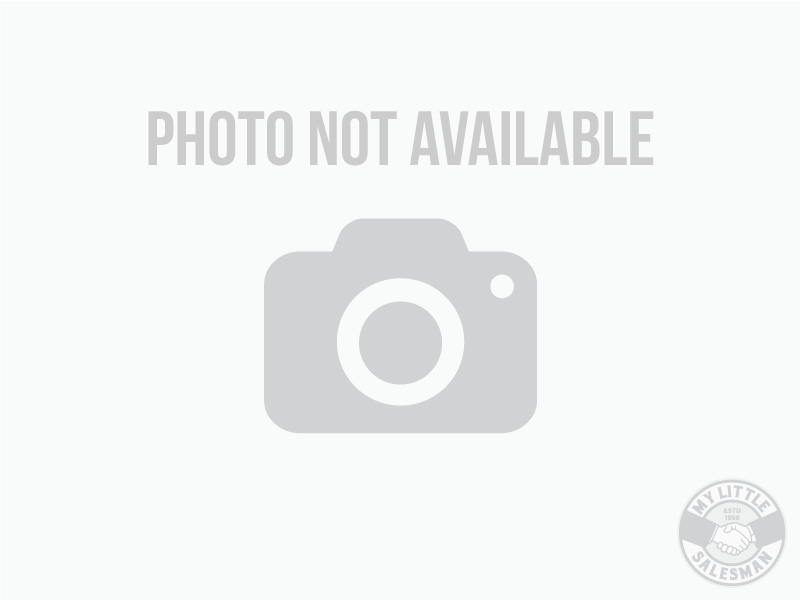 front steer axle. The jeep dolly includes a removable gooseneck that can attach to the trailer. The jeep deck will also include a hydraulic lift tower operated by a tractor wet kit or an optional power pack. 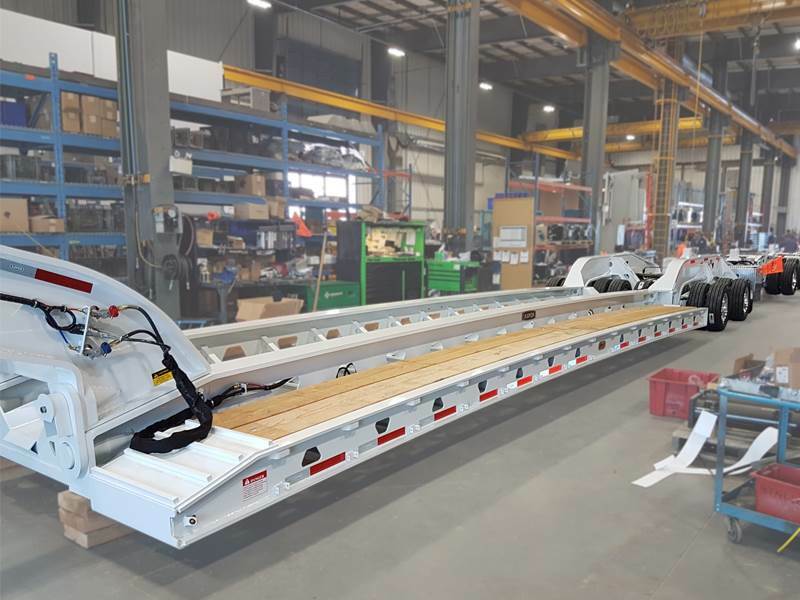 The loading ramps are integrated into the main beams to allow the mechanical gooseneck to ride up to the tower fifth wheel. 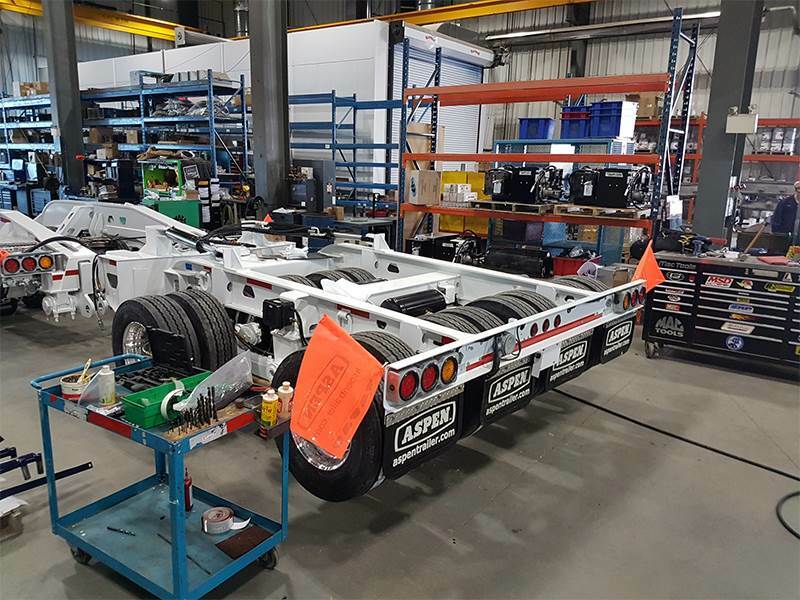 Fifth Wheel Lift Capacity: 100,000 Lbs. 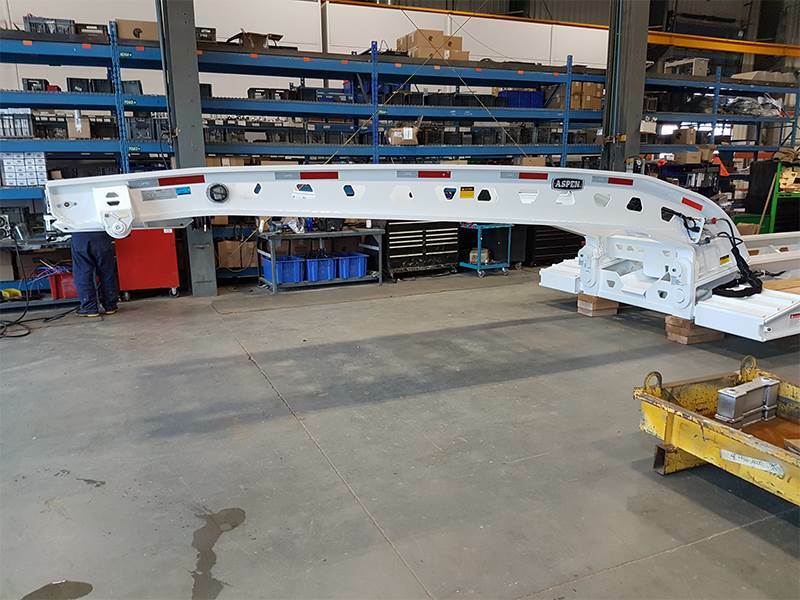 This Aspen 16 Wheel Axle Mechanical Equalizing Booster has been design to with an Aspen Mechanical Equalizing trailer.